Positive Coaching Alliance sees players who exhibit humility as improving the overall quality of the game we all love. 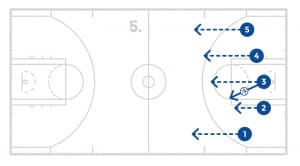 If players are humble enough to not consider themselves more important than their teammates, they are ready to play a beautiful style of basketball, sharing the ball on offense and the effort on defense. 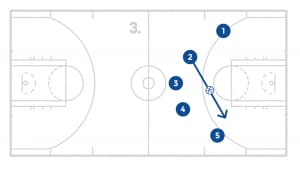 And, players who are humble enough to respect their opponents as equals will not disrupt the game with trash-talk or overly physical, dangerous play. 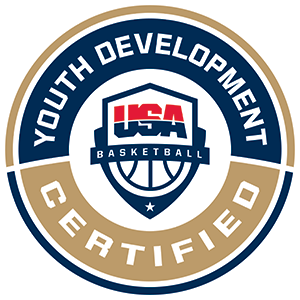 Therefore, humility is a key to preserving the game so that it can continue giving so much joy to all of us and elevating our spirits. 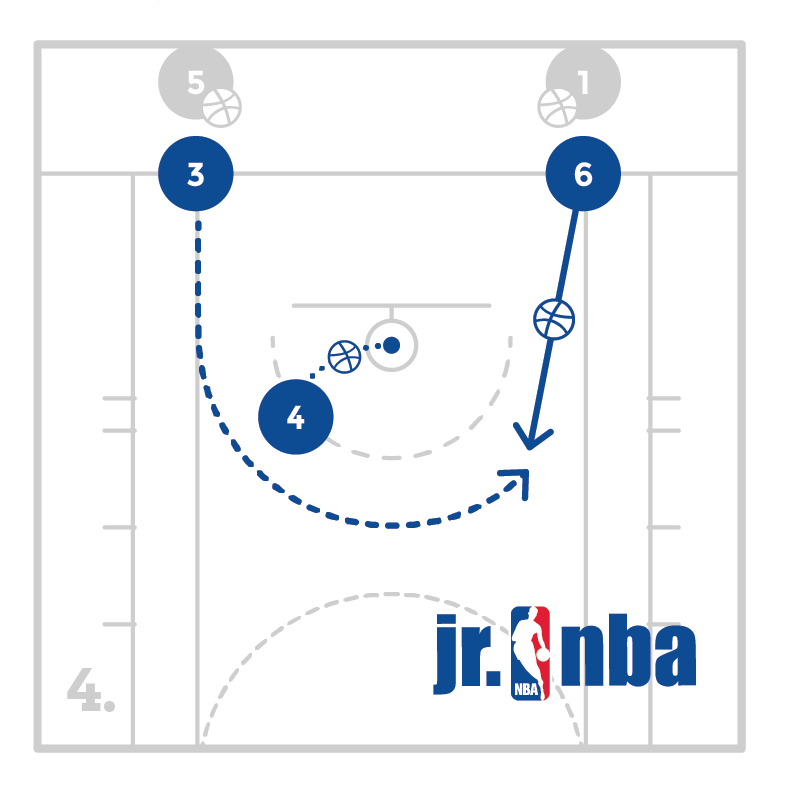 Have the players get in groups of 4 or 5 and get on the baseline. 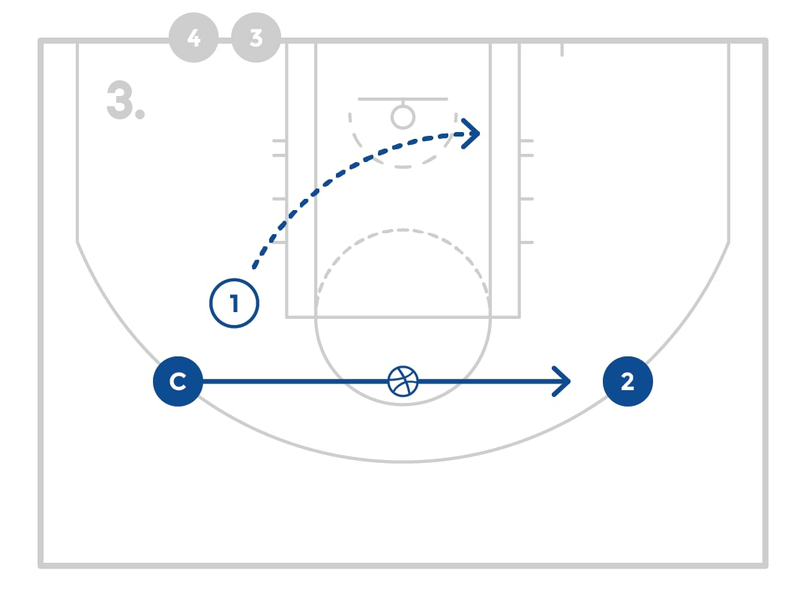 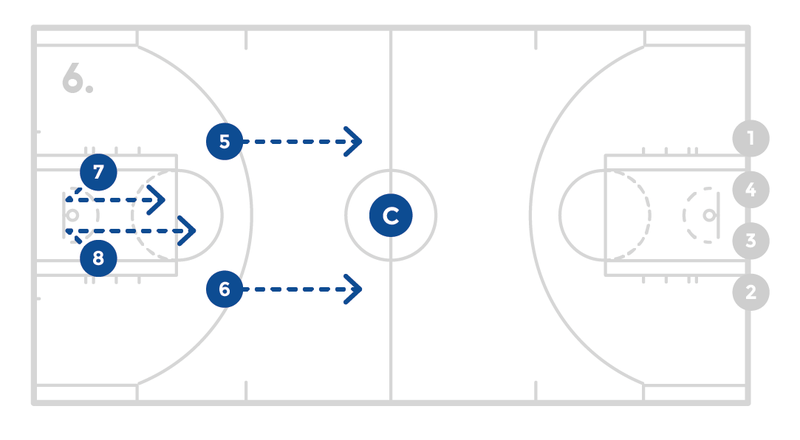 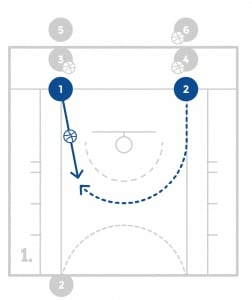 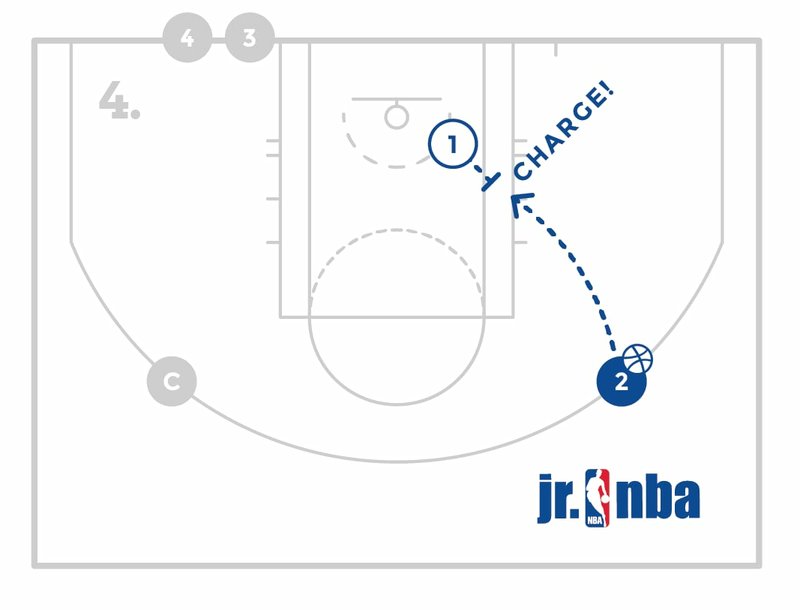 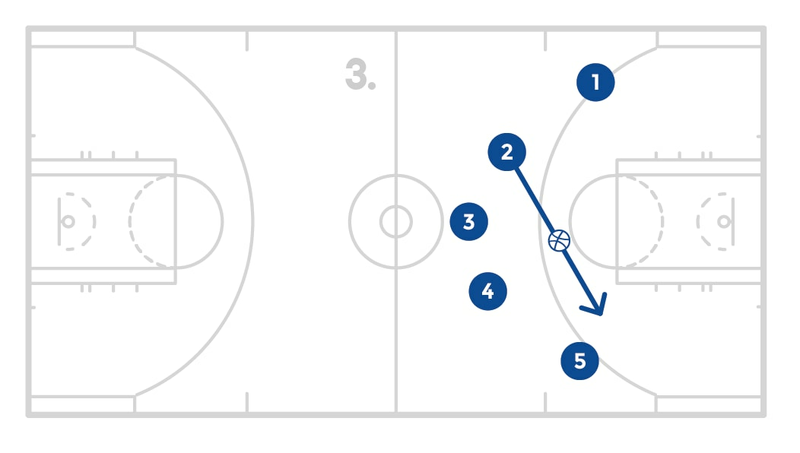 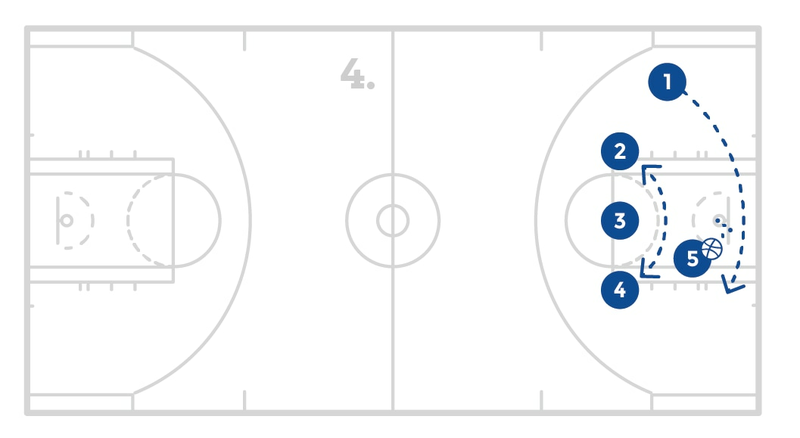 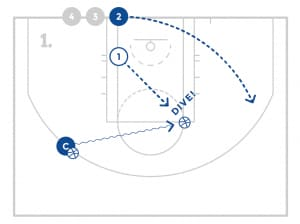 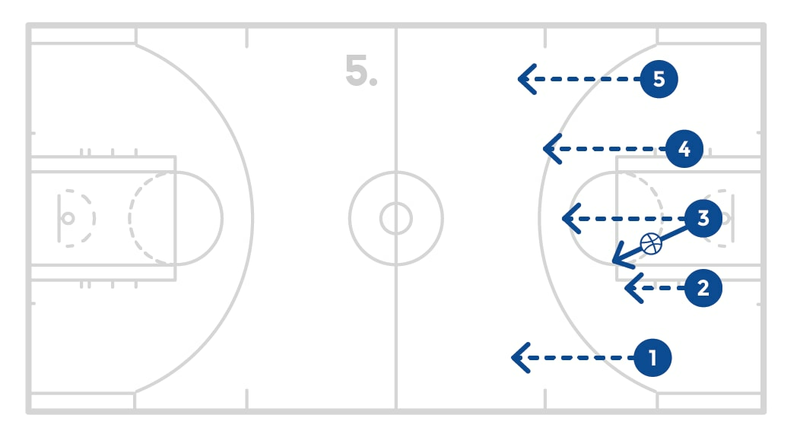 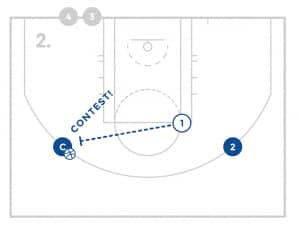 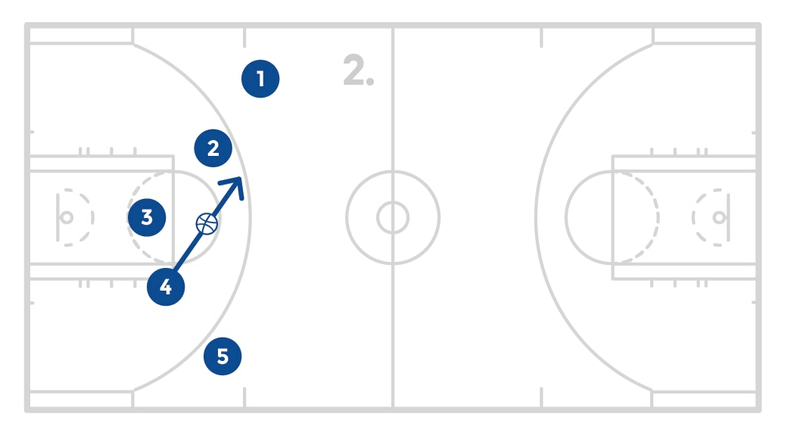 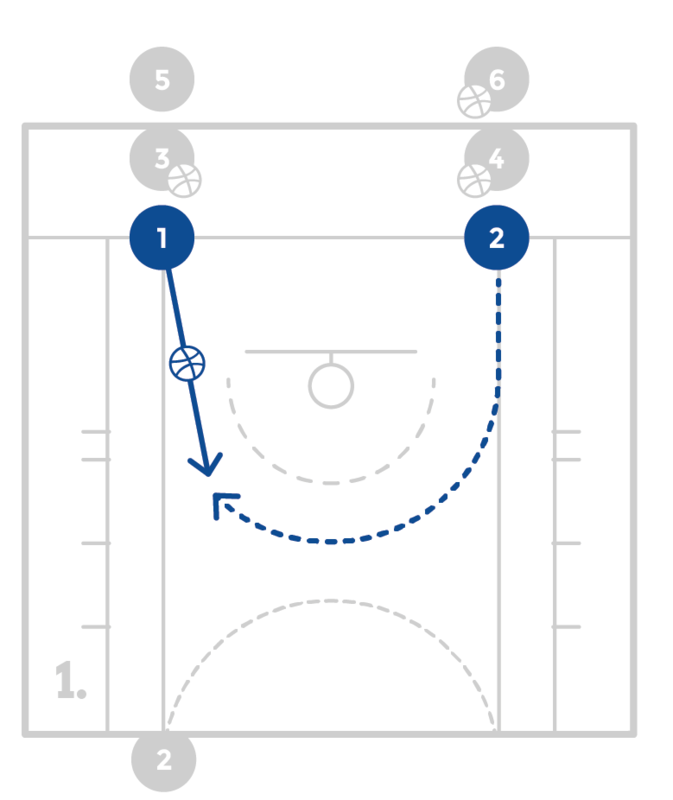 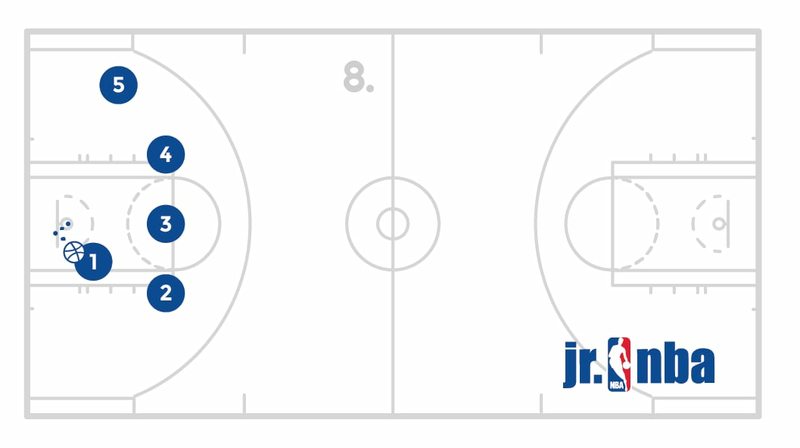 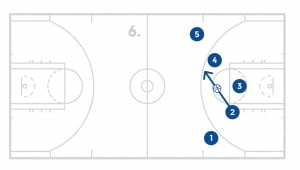 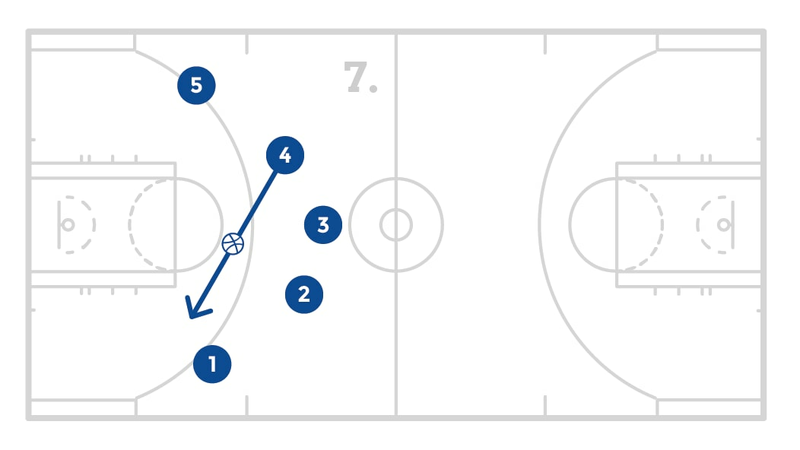 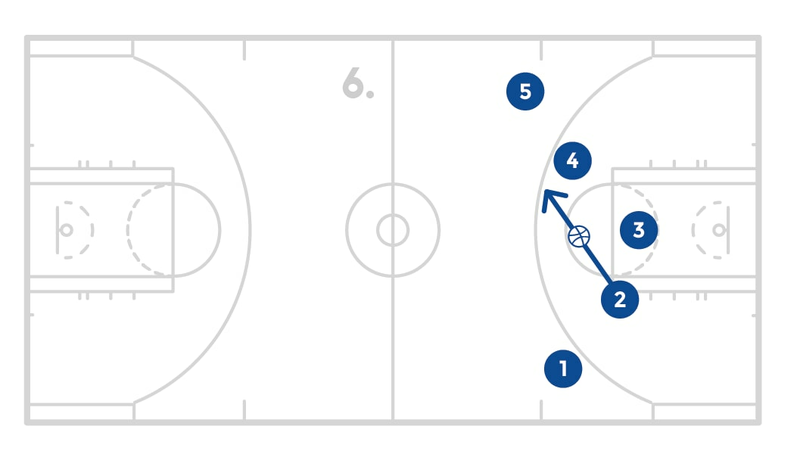 Bring the first group out to the lane and have them run in a small circle until the coach tosses the ball in the air. 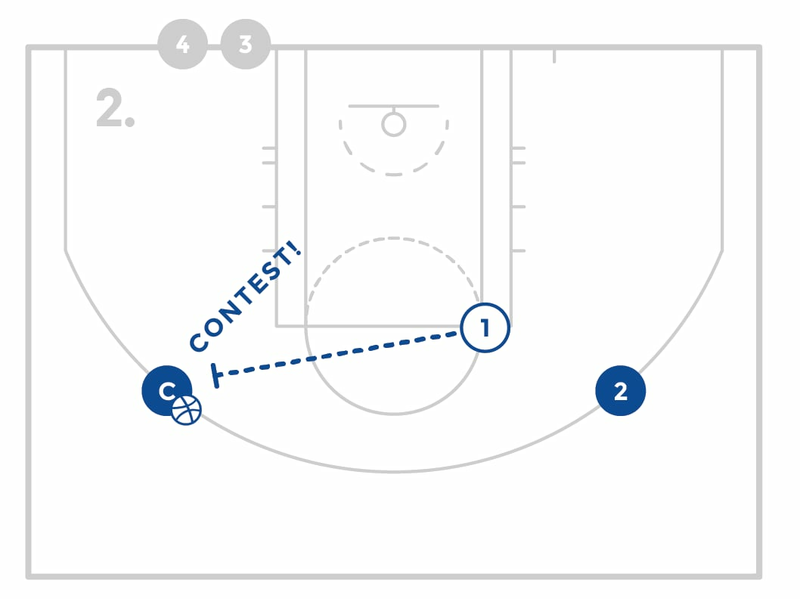 When the ball is tossed in the air have all the players yell shot. 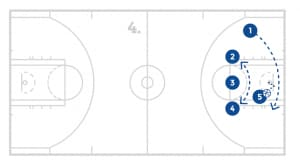 At the same time have the players that are allowed to crash the offensive boards, run and touch the backboard and sprint back. 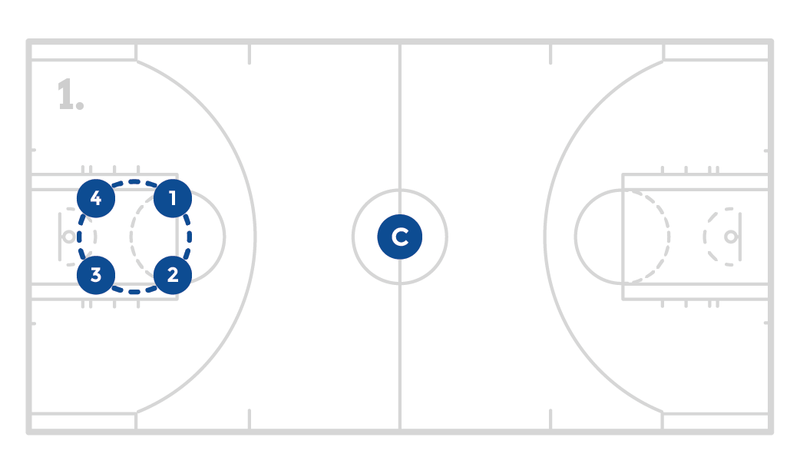 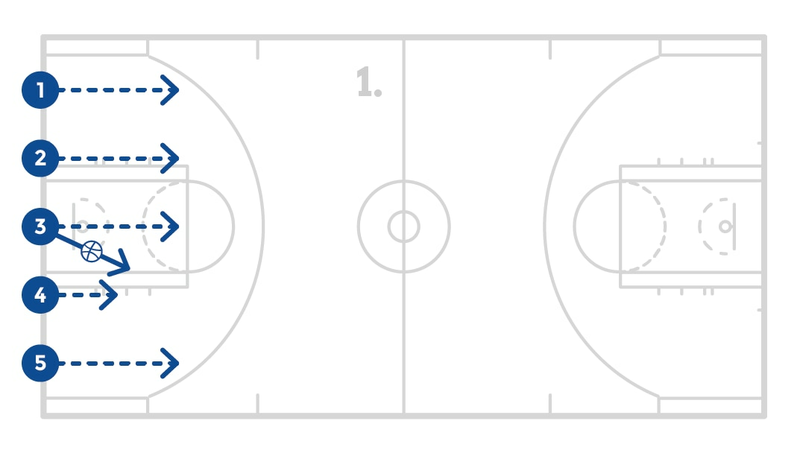 The guards or those not allowed to crash the offensive boards will run back as soon as the ball is tossed. 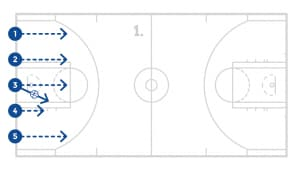 All players will load to the paint by sprinting to the paint then turning and closing out to the nearest spot on perimeter yelling “Ball! 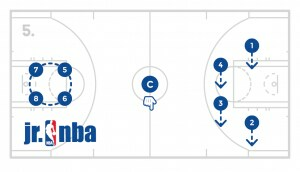 Ball! 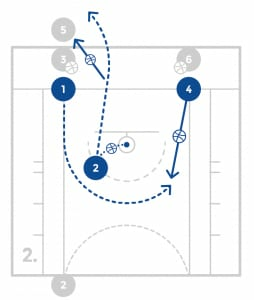 Ball!”. 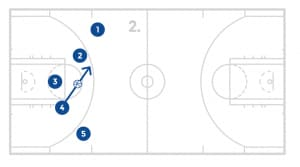 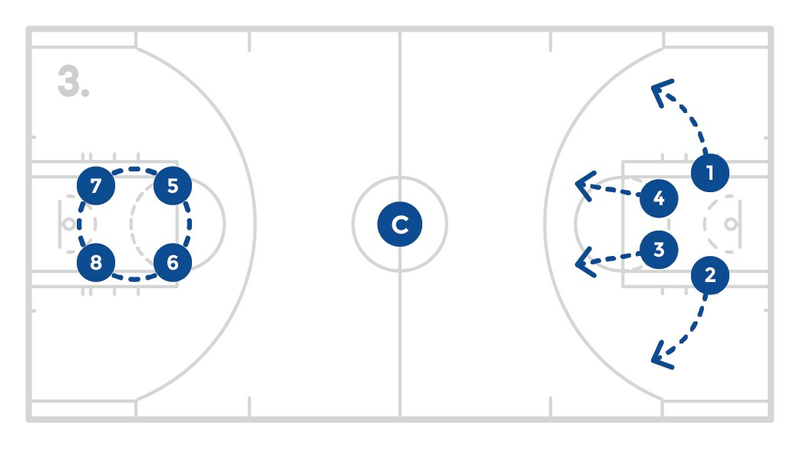 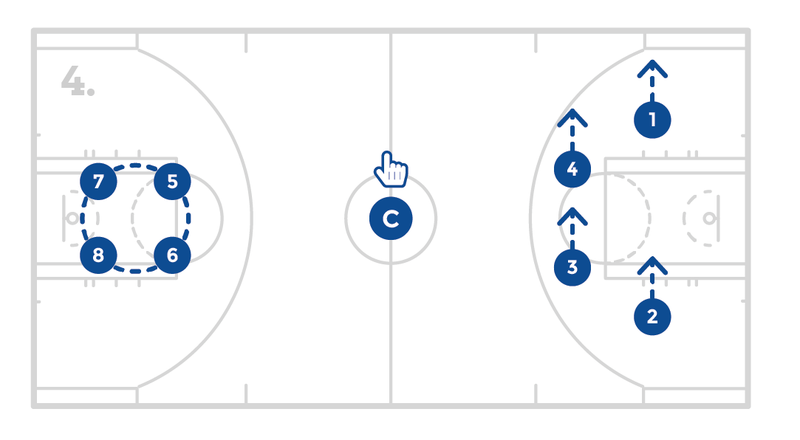 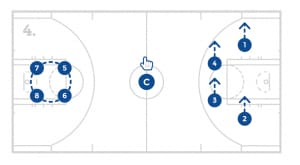 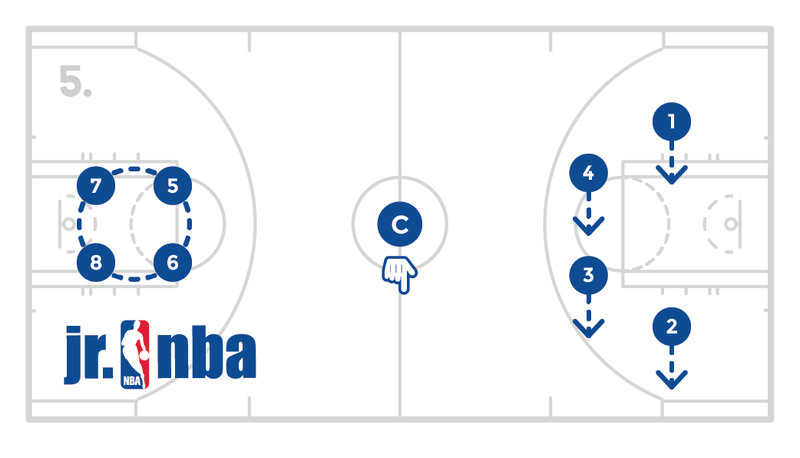 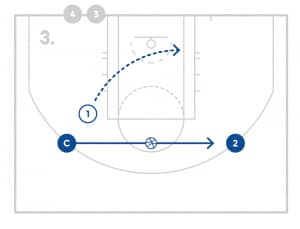 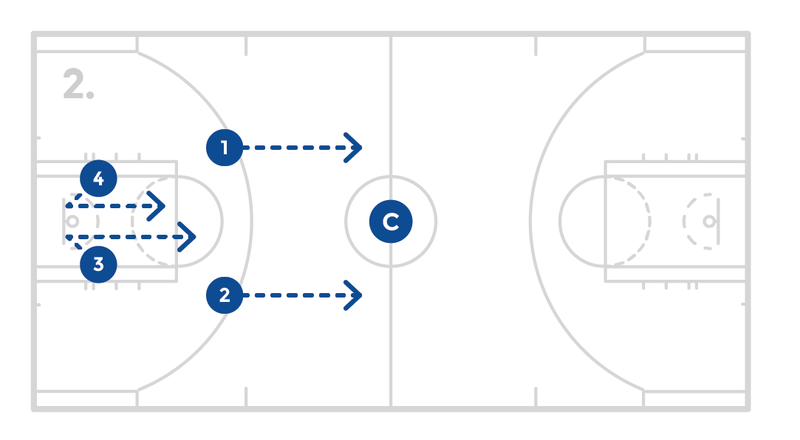 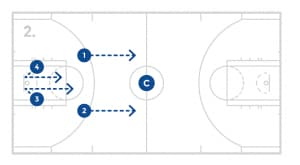 Quickly the coach will point in a couple of directions to have them slide from side to side and then have them clap and hustle off to the baseline of that end of the court while the next group begins the same process. 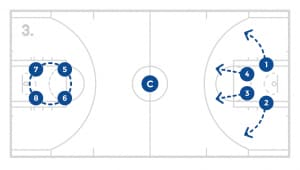 Repeat this process until each group has completed the allotted number of reps.
Divide the players into groups of 5 and start with 1 team on defense and one team on offense. 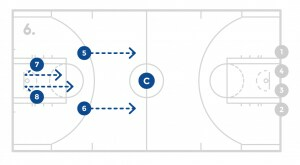 The offense should only have players on the perimeter and 1 post player. 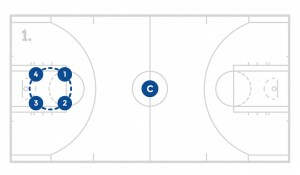 Emphasize post defense and how to help with a post player.